SAN DIEGO, December 7, 2018	(Newswire.com) - One of the advantages offered to Team Carpe Diem Marketing is a supportive corporate body that provides training and learning tools. This is just one of the ways that associates are encouraged to achieve their personal and professional potential. A delegation of company educators will soon be visiting the office to provide hands-on development through classes and workshops designed to cover both business 101 and leadership skills. 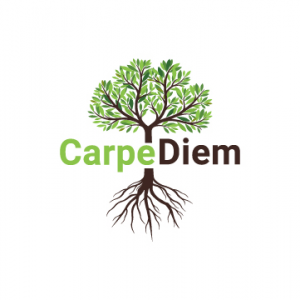 How to make impactful interactions, ways to improve customer service, plus teamwork tips and strategies are all topics that will be covered during Team Carpe Diem Marketing's corporate event. There will be chances for Team Carpe Diem Marketing brand advocates to earn merchandise as well! Will is very excited to be able to offer this growth opportunity to the team, and he is looking forward to seeing how people benefit from this training experience. Carpe Diem Marketing’s commitment to professional development is one of its sharpest competitive edges, according to Will. It’s the most reliable way he knows to give his team members the chance to perform to their potential and prepare for more responsibility in the future. Continual learning programs are beneficial to Carpe Diem Marketing in a variety of ways as well. For example, well-trained brand advocates are happier and more confident professionals. This leads to higher engagement with projects and long-term loyalty to the firm. People are more effective and productive when they enjoy what they do. The managers have all worked their way forward from entry-level positions, so they have first-hand knowledge on all aspects of the company’s operations. Will sees easier recruiting as another plus of Carpe Diem Marketing’s comprehensive approach to training. Savvy candidates recognize the advantage that continual learning provides and want to join organizations that invest in them and their careers. In-house seminars, coaching, conferences, and retreats are ways in which the firm provides access to all the knowledge and abilities a person requires for success in customer acquisitions – or any other field, for that matter. Once the corporate training team has spent some time with his ambassadors, Will is sure to see a surge of motivation and momentum, which will undoubtedly lead to Carpe Diem Marketing’s growth in the coming year. In turn, this will lead to internal promotions and openings for even more ambitious, talented people to join his organization.